Review from Book News, Inc., Portland, OR. 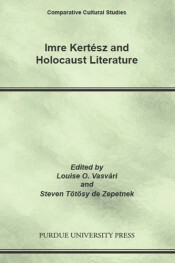 "In the first English-language volume of scholarship on the work of the 2002 Nobel laureate, contributors from Europe, North America, and New Zealand, writing from the perspective of literary and cultural studies, history, sociology, and other disciplines, approach the author and his work in the context of the Holocaust, which he writes about and which he survived. Some of the 23 papers are about his novels, some discuss Jewry in Hungary and in Central and Eastern Europe generally, and some look at aspects of the controversy in Kertész's home country surrounding his writing and the Nobel prize it received. The volume includes a bibliography of Kertész's oeuvre and publications about his work, but there's no index."